There are more benefits to reuse than is first assumed, however avoiding the purchase of new items is the main area that has been focussed on until now. In the last 2.5 years of operation, we have also had feedback about many positive benefits such as time savings, donations to charity and other social benefits. We have even had reports that staff and organisations are collaborating and making connections that would not have happened without Warp It. See audio from Ellie from the Institute of Making UCL. Therefore we continue to introduce additional metrics and factors that reflect the true benefits of reuse. 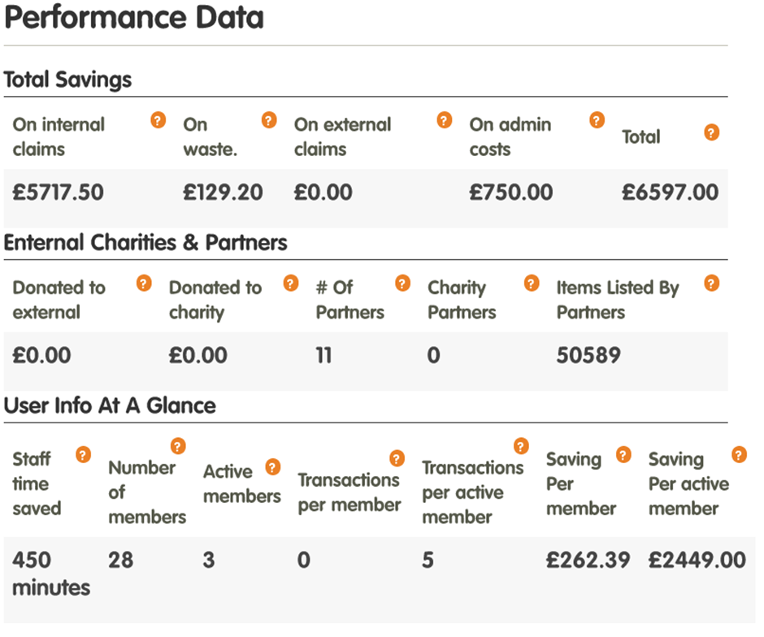 In most cases the source conversion factors can be customised- This means the Metrics and savings that are achieved are more accurate, transparent and meaningful to your organisation. It also means that the benefit of internal (and external) reuse is fully illustrated to the rest of the organisation and beyond. This has the effect of increasing reuse, as staff can relate to how useful the activity is- and increasing the associated benefits. The following original source data is still used as a basis of most calculations. There is a more detailed account at the end of this document. The system assumes if a staff member claims an item, it replaces the act of buying a new item. Each item is given a replacement purchasing value. This is the cost of purchasing a new item. This value is an average across the board cost of that item at public sector/ bulk buying contract prices. Each item is also given waste disposal financial value related to weight and volume. This aspect can be customised. Each item that is transferred is given a weight value (KG) based on the ‘Measure Your Treasure’ guidelines, originally produced by the Community Recycling Network UK (info@crn.org.uk), in consultation with community waste sector groups. Carbon and other Greenhouse Gases (GHG) are given off in the manufacture of products. Every item transferred using Warp It saves on carbon emissions because a new item does not have to be manufactured, transported and purchased. The GHG can be measured by estimating the amount emitted during manufacture, using activity data (such as the amount of fuel used) and applying relevant conversion factors (e.g. calorific values, emission factors, oxidation factors). These conversion factors allow organisations and individuals to calculate greenhouse gas (GHG) emissions from a range of activities and enable us to convert activity data (e.g. litres of fuel used, number of miles driven, tonnes of waste sent to landfill) into kilograms of carbon dioxide equivalent (CO2e). Carbon dioxide equivalent is a universal unit of measurement used to indicate the global warming potential of one unit of carbon dioxide. Using conversion guidelines, we are able to apply conversion factors to various items that are transferred on Warp It. Thereby producing the Carbon Equivalent saving on each transaction. The conversion factors are calculated by Centre for Sustainability Accounting (CenSA), York, based on previous calculations by Stockholm Environment Institute (SEI), University of York- these factors are used by DEFRA and HEFCE. 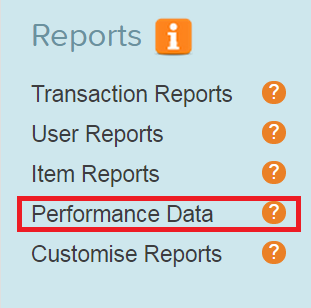 When you log in as an admin you will see there are a number of new links in the dashboard: If you click on “Performance data” you will see some of the more data. The above is only a screen shot. Please log in and explore your new pages. This is metric is made up of the financial value of contributing factors across the reuse process. This includes cost (£) savings from internal trades, external inward trades, waste cost savings and the value of staff time saved. Each aspect is explained below. Logic: Total savings (£) = internal trades + external inward trades+ waste savings +staff time (£) = Total reuse savings. This metric reflects the avoided procurement cost on internal trades. Each item on the system is given a weight value in KG. A waste disposal financial value can then be applied. This was worked out using the average UK costs of disposal. However this figure is not a fair representation of the real cost of disposing furniture and physical items, as waste disposal is usually charged by volume- not weight. So the cost of waste disposal using tonnage of furniture is a gross under estimation. Waste costs vary geographically. The way organisations pack skips also varies- if it is tightly packed there is less air and thus the skip charge is better value for money. As of 01/01/2014 the waste financial savings methodology has been improved for accuracy, allowing the admin to allow for local costs, volume and staff time. The admin can add their own personal conversion factors related to: Cost of skip, average weight, staff time taken to fill a skip. This is the value of items that staff have claimed from other organisations- which have been brought into the organisation. If the admin has switched off external trades, this value will not contribute. This contribution is a reflection of the cost saved from claiming an item on Warp It compared with going through the process of buying a new item. On Warp It there is no need to get a quote for the item/s, confirm the quote, raise a Purchase Order and then sign off the invoice. The standard costs across the sector for raising and processing a PO is £50- however for transparency this can be customised and zero if required. In the same way as above, this metric measures “staff time saved compared with making a new purchase” and reflects the time saved by staff carrying out 1 transaction on Warp It compared with purchasing new. Transaction means- the number of claims- not the number of items. So if a member claimed 20 x desks- that is one claim/transaction, which would be a saving of X mins as the quote, PO, invoice procedure did not have to be followed. This is worked out by taking the number of transactions and multiplying by the time it would have taken to purchase in the standard fashion (mins). The factor is customisable in the admin settings. 30 mins is the default however for transparency this can be customised and zero if required. This metric reflects the value (£) of items given to 3rd sector partners.